If you have been to Britain before and therefore seen all the biggie London sightseeing options – you know, The Tower, Buckingham Palace, Big Ben, Tower Bridge, St Pauls etc. etc. – or if you just enjoy something a little different in your sightseeing diet, here’s a collection of lesser known but equally interesting attractions. There are, of course, dozens more places and things that you’d love to see, to do, to experience. Great British Road Trips will not only take you easily and stress-freely between the great tourist attractions in Britain, but also give you lots of interesting side options so that you can pick and choose what interests you the most. Sign up here and for a mere £9.90 you can learn more about all those extra options. 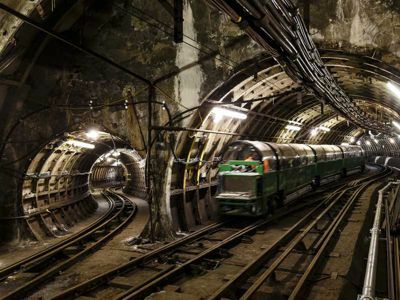 There’s a second underground rail system in London . . . though few people realise it. It is formally known as the Post Office Rail, but more catchily as Mail Rail. In the 1920s traffic congestion in London was such a problem (they oughta see it now!) that getting mail from one side of the city to the other forced the Post Office to build a 6.5 mile network of tunnels to speed the Royal Mail from Point A to Points B, C and D.
At its peak it moved 4 million items a day, but by the early 2000s the volume of snail mail had dropped, making the system uneconomic. It was closed in 2003. Today it has been reopened as The Postal Museum and as part of the experience you can take a 20-minute ride on one of the trains. A.k.a. 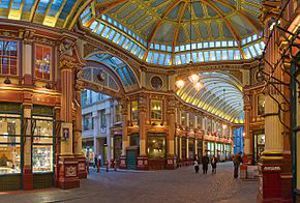 Leadenhall Market. This ornate Victorian marketplace was the setting for Diagaon Alley and The Leaky Cauldron in the Harry Potter films. OK, that’s a reason to visit if you a Potter fan, but it’s also a rather magical place for Muggles to do a bit of browsing and buying, supping and dining. There’s been a market on this site since the 15th century, but the present building was finished in 1881. It’s located right in the heart of the Financial District and has a collection of stalls, shops, restaurants and pubs. While you are ov er that way, take a short diversion to Philpott Lanme to see the Mice Sculpture. (See below for more info). 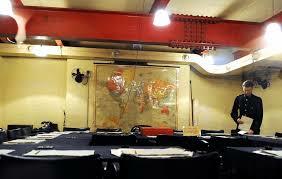 Beneath the hallowed home of Britain’s bureaucracy in Whitehall is the bunker from which Sir Winston Churchill, his Cabinet and Chiefs of Staff commanded operations during the Second World War. The remarkable thing about it is that it was perfectly preserved. When the last officer walked out at war’s end in 1945, he literally just switched off the lights and locked the door, leaving it exactly as it was. All the desks, chairs, phones, equipment, papers etc. were still there when decades later it was reopened. Despite being underground it wasn’t much of a protection. A relatively small bomb would have penetrated the roof until Churchill ordered a thick concrete slab to be poured over it, giving somewhat more security, though even then one of Hitler’s rockets would have made short work of it in a direct hit. Staff spent hours, sometimes days down there. It was airless – no air-conditioning in those times – and cramped. The toilets were portable loos – and they were parked in the area when many of the staff slept. Clive Steps, King Charles St, London SW1A 2AQ. More . . . and even more on Wikipedia . 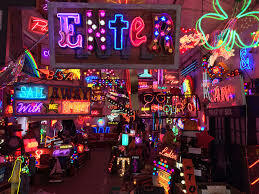 . .
It’s a riot of neon signs, thousands of them in a Walthamstow Warehouse. Open on weekends at Unit 12, Ravenswood Industrial Estate, Shernhall St, London E17 9HQ. About a 12 minute walk from Walthamstow Central on the Victoria and Overground lines. 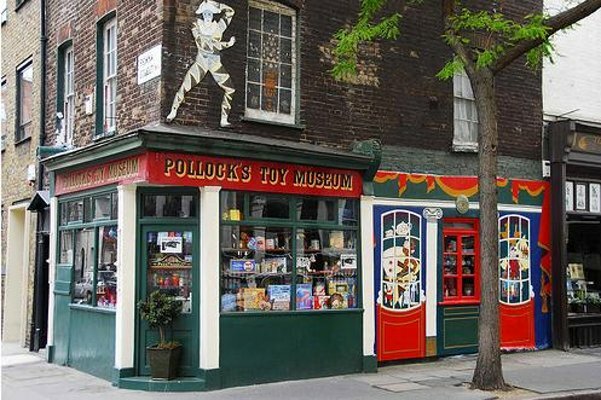 Pollock’s Toy Museum is a museum and small toy shop housed in two atmospheric historic buildings in London’s Fitzrovia. It is a collection of mainly Victorian toys. On display in six small rooms and two winding staircases are dolls, teddy bears, tin toys, folk toys, toys from around the world, dolls houses, puppet’s, toy theatres, optical toys, toy soldiers and more besides. Pollock’s was originally a shop and printers, dating back to the 1850’s, based in Hoxton, then a poor quarter of London. Benjamin Pollock hand printed, constructed and coloured much of the toy theatre material housed in the museum today. If, like me, you are fan of the mad-house otherwise known as Monty Python’s Flying Circus you might like to pay homage to the famous descending foot. 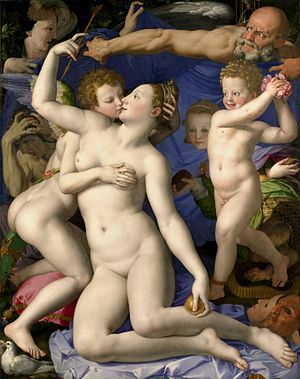 Go to Room 8 in the National Gallery and look for Bronzino’s An Allegory with Venus and Cupid. It’s on the right towards the back wall of the room. The Python foot is in the lower left hand corner of the picture. National Gallery Trafalgar Square, London WC2N 5DN. 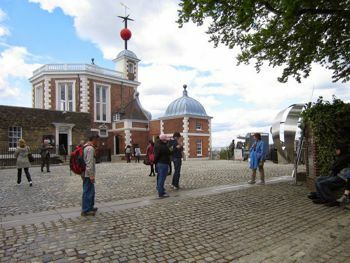 Many people go to the Royal Observatory at Greenwich so that they can get a selfie at the zero longitude meridian. Just a wee problem there. That most photograph line on the earth’s surface isn’t actually the real zero longitude! The Prime Meridian is a line from the North Pole to the South Pole from which all degrees of longitude are measured. Modern GPS science has shown that the true line is, in fact, about 30 yards to the east, near a rubbish bin. While you are there, go have a look at some of the most amazing scientific inventions, the John Harrison chronometers. The clocks are extraordinarily beautiful objects of themselves, as well as being revolutionary in their ability to allow ships to determine their longitude at sea. This development drastically reduced the risk of ships and their crews, along with their precious cargoes, being lost at sea. Harrison was a carpenter by trade and was self-taught in the art of clock making. 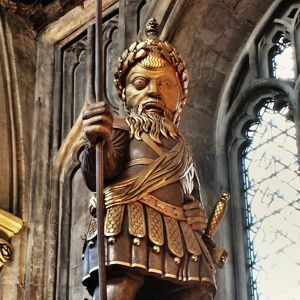 Guildhall has been at the hub of London commercial life since the Middle Ages – an era when the Lord Mayor of London rivalled the monarch for influence and prestige. Here the ruling merchant class held court, fine-tuning the laws and regulations that established London’s wealth. Built between 1411 and 1440, Guildhall was designed to reflect the power and prestige of London and its leaders. But the real treasure is the 2000 year old Roman amphitheatre underneath it, discovered when work was being done to construct an art gallery on the site. Previously unknown to modern archaeologists, the Roman amphitheatre was once used for all manner of public entertainment, which at the time included fights and executions. Want to be baffled, bamboozled and bewildered? Go to a magic show here. The performers were seriously freaky in the things they did. One gave me a large die (one die, two or more dice, yeah?) and asked me to select any number on it, keeping it covered. He then said he would ask me three questions and I was to give false answers. “What’s your favourite holiday destination?”. “Bali,” says I. “What’s your favourite sport?” “Soccer”. “How old are you?” “Twenty one”. With that he correctly predicted that I has chosen 1 on the die. OK – was the clue in the last answer? Maybe. Even if it was, it was still impressive. Then there was the guy who asked two members of the audience, one after another, to shuffle a deck of cards. Being very careful to show that he used the same deck, he shuffled it for a few seconds then fanned it out on the table in perfect suit and sequence. Not a man to play poker with. The Magic Circle is the ultimate club for magicians from all over the world. Started in 1905 when twenty three amateur and professional magicians gathered together at London’s Pinoli’s Restaurant with the intention of forming a magic club. You can’t just breeze in here because, as we all know magicians they keep their secrets well to themselves, but you can get a quick squiz around by booking for one of the magic shows regularly presented here. 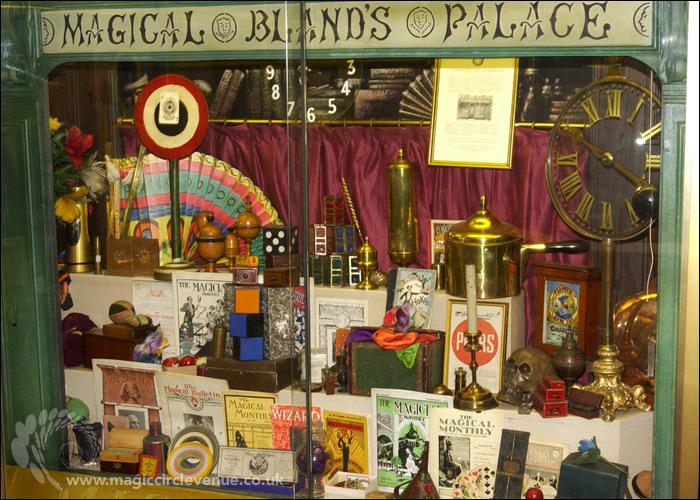 You can then take a tour of the building to explore a treasure trove of items from the golden age of conjurers, magicians and escapologists. Shopping centre security is nothing new. 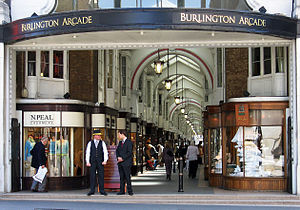 Burlington Arcade is where the A Listers do their shopping. If you flew in on an economy seat then shopping here is not for you but it still has a curiosity value. When it was built in 1819 its promoter, Lord George Cavendish, was concerned that the riff-raff might want to see and be seen with his pluty customer base so he hired ex squaddies from the 10th Royal Hussars, veterans of the Battle of Waterloo, as guards. This was even a decade before the creation of the Metropolitan Police Force and was the world’s first, and now oldest, private security team. Among the earliest tenants was jewellers Hancocks. Probably their most famous commission was to create the Victoria Cross, awarded to British and Commonwealth servicemen for valour above and beyond the call of duty. Since then Hancocks have made all of the 1350 VCs that have been awarded. Just arrived from deepest, darkest Peru and sitting under the clock at Paddington Station waiting to be found by Mr and Mrs Brown. Paddington Bear has been a favourite book character for nearly 60 years. The 150 books have sold 35 million copies and more recently have been made into a couple of movies. If you want to see a life-size statue of everyone’s favourite story-book bear, head over to Platform One at Paddington Station. 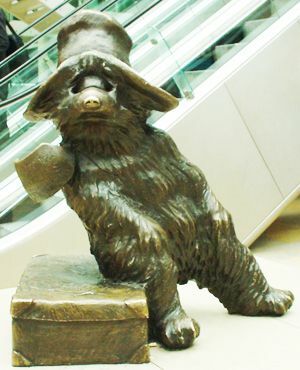 Designed by the sculptor Marcus Cornish, the statue was unveiled by the Paddington Bear series author Michael Bond on 24 February 2000. Bond passed away in June 2017 aged 91.